Love me. Play with me. Help me be the best I can be. As a parent, you play an important role in the development of your baby’s brain. You are your baby’s most important connection to the world. You interact daily with your baby. These interactions have a life-long effect on your baby’s ability to reach full potential. This website will help you support your baby’s brain development. Best Start Resource Centre website. Copyright © 2019 Healthy Baby Healthy Brain. All rights reserved. For healthy brain development, babies need to be able to explore the world around them, with you and on their own. Keep your baby safe. Remove potential hazards so your baby can be free to explore. Always supervise actively. You don’t need expensive equipment for your baby to develop. Simple household objects like cushions and balls are safe and engaging toys that babies love to play with. Problems at home such as divorce, illness, drugs or violence can create stress for a baby. Stress can make it difficult for a baby to learn. When babies react to stressful situations, they use their brain to deal with problems, rather than to learn. It is best to reduce the baby’s contact with stress. Try to get the help you need to reduce the problems at home. Language is one of the most important skills for your baby. The skills need to be put in place very early. Start even before birth. Talk to your baby often. Help your baby learn new words by repeating words. Point out things while naming them. Read to your baby right from birth. This will help your baby learn to read and write later on. It is also important to start to develop math skills early. Games such as stacking things, counting things, and sorting colours and shapes are a good way to start. These games will help your child learn how to solve problems and to understand numbers and counting. This will help your child learn more complex math skills later on. Babies thrive on routines. They like to know what to expect and when to expect it. Starting from birth, develop a healthy daily routine for your child. Routines will give your child stability and a sense of security. When children are calm and relaxed, they are able to focus on learning. Being active is an important part of building a healthy body and brain. Babies need to be able to move and exercise the muscles in their arms, legs, shoulders and neck. Some tummy time every day is important for babies. Toddlers should get at least three hours of physical activity each day. Some of it should be energetic play. Take your child to a playground or to an Early Years Centre and give them room to run, climb, and jump. Children learn from their parents. So, be active yourself! More than anything, your baby needs your love, time and attention. Make play a part of your everyday routine. 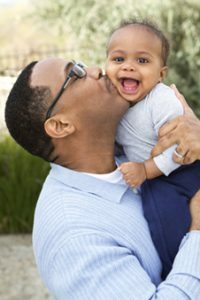 Bath time, mealtime, and free time are all great times to connect with your baby and to help your baby to learn. You don’t need to spend money on expensive toys. 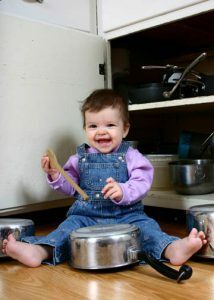 Babies love to play with simple household things that don’t cost anything! Babies need time to explore. They need to figure things out for themselves. Allow for plenty of playtime to help your baby learn. Listening to your baby means understanding and following cues. Watch your baby’s posture, hands and eye movement. Is your baby alert or is your baby sleepy? Get to know your baby’s likes and dislikes. Let your baby lead you to the things that your baby finds exciting or soothing. The more you follow your baby’s interests, the longer your baby will stay focused. More learning takes place when your baby is interested. To have the confidence to explore the world, babies need to feel safe and loved. They need to know that someone will be there to help them if they need it. 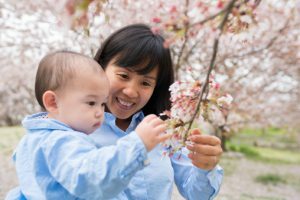 Building attachment with your baby is one of the most important things you can do as a parent. How? By cuddling, loving and holding your baby. Always respond to your baby. This will give your baby the confidence to explore and learn. The way you respond to your baby influences how your baby will relate to other people in life. There are times when your baby’s brain is ready to develop certain skills. Brain connections for seeing and hearing develop early. So it is important to talk, sing and read to your newborn. There is a window of opportunity for learning to talk between one and two years of age. Start putting the building blocks for language in place even earlier. Talk often to your baby. 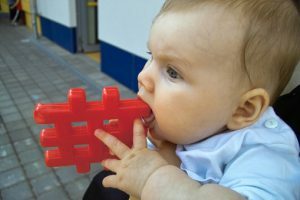 This will help your baby learn to talk. If you suspect a delay in your baby, such as difficulty hearing or seeing, talk to your healthcare provider right away. It is important to get help early if it is needed. This will make learning easier later. Make sure your child sees a health care provider at 18 months of age. Healthy eating plays a major role in a healthy baby’s brain. Breast milk contains all the nutrients your baby needs, as well as antibodies to fight infection. Mothers are encouraged to breastfeed without giving any other fluids or foods for the first six months. After six months, introduce iron-rich foods such as meat, meat alternatives and iron-fortified cereal. Include other pureed or mashed foods from the other food groups. It is recommended to continue breastfeeding up to two years and more. Traditional foods from all cultures can also be a healthy option. Be a good role model when you eat. Encourage your child to try new foods from all the food groups. Involve your child in meal preparation. Your child will develop a healthy relationship with food, for long-term health. Between birth and age three, your baby’s brain creates more connections than it needs. Over time, the connections that are used often will become permanent. Connections that are not used as often will disappear. Using the five senses is important in a child’s brain development. Parents need to provide a variety of social and learning opportunities. These will help the brain connections to become permanent. Activities can include reading to your child, finger-painting, dancing, breastfeeding, singing, music, smelling, tasting new foods and touching interesting things. Self-regulation is an important skill for children to have. Self-regulation is being the boss of your behavior, emotions and attention. Help children learn to adjust their emotions and behaviours. This helps them to cope with changing situations in a positive way. Infant self-regulation is developed when adults help babies soothe themselves. 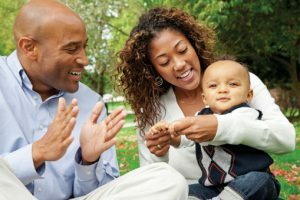 Parents can help their toddler observe the surroundings, listen, understand consequences, use words and actions to explain their needs, and problem solve. These will help deal with problems in life. They will also keep the toddler in a calm and alert state. A calm and alert state will help with learning. All full term babies are born with basic brain functions. They can breathe, sleep, eat, etc. To develop more complex skills, the brain needs to be stimulated often, in a repetitive, predictable, back-and-forth way. This fires up new connections in the baby’s brain. 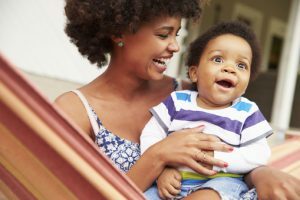 Parents need to provide lots of warmth and attention to set up these early brain connections. Respond to your baby. Talk to your baby. Sing to your baby. Touch your baby. Play with your baby. With every interaction, you are helping your baby’s brain to develop. Your baby’s brain starts to form when your baby is conceived. Stay active. Eat well right from the start to help create a healthy brain. Important nutrients during pregnancy are folate, iron, vitamin C, calcium and omega-3 fats. Avoid alcohol, drugs and tobacco smoke. These can harm your baby’s developing brain and may cause permanent damage. It’s best to make changes when you are thinking about becoming pregnant. Give your baby’s brain the best possible start.